This is what a small town ought to look like and be like. 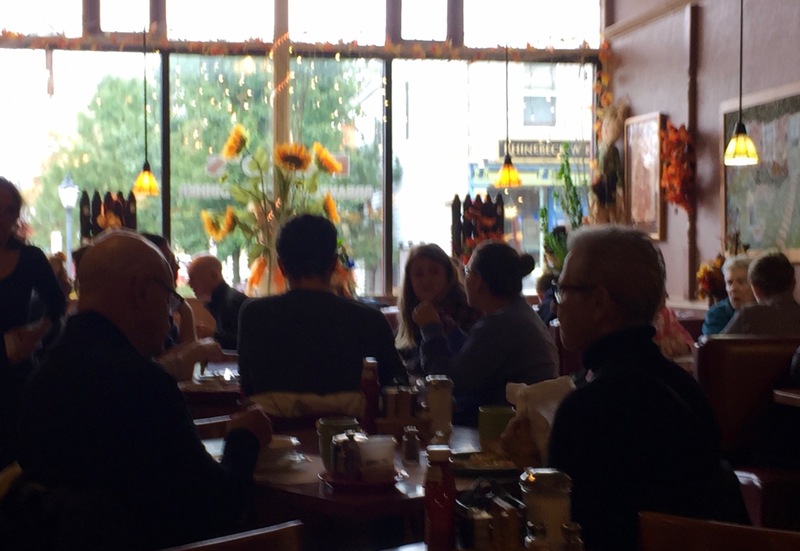 Rent a room in a B&B in town, have breakfast at Pete’s Famous Restaurant (see photo), and have dinner at Josh Kroner’s Terrapin Restaurant. You can walk there. It is rated the best in Duchess County. You can see a movie or hear a full symphony orchestra. Visit Hyde Park—it’s wonderful. There are many historic sites. Also visit Vassar College, Bard College and Marist College. Vassar has an art museum. On Sunday go to the Farmer’s Market, open until the end of December. Buy some foie gras, venison, goat, humus, sizzling sausage on a stick from the lady who raises the pigs, and try some local cheese, wine and beer. Listen to some live bluegrass.